Please tell me about the entire purchase/delivery process? You will find more detailed information below under various questions but here is the normal overview. When the order is placed, we only ask for 1/3 to be paid as a deposit. At that time, we will email an order confirmation to you. Within 72 hours, if the mfg has any unforseen issues such as being oversold or out of stock on an item, we will let you know. If everything is in stock as normal, you will receive an email in approx. 3 weeks when the items arrive at our in home delivery service. At that point, we will get an authroization for the balance(if any) via your payment method to gurantee funds. This is an authorization only but may lock down those funds for a few days. Within 2 - 3 weeks of your items arriving at the delivery service, they will give you a call and let you know the day and time frame they will be in your area. This call is at least 2-4 days prior to your delivery. When the delivery team arrives at your home, they will bring the items into your home and assemble them in the room of your choice. The delivery service will then notify us that everything was delivered and we will charge the final balance out via your payment method. How long before my merchandise will arrive? The delivery time depends a great deal upon availability. If the items are in stock at the manufacturer, we average 4-8 weeks on the East Coast and 6-10 weeks on the West Coast. There is a great chance you will receive your items quicker and we will always do everything we can to ensure timely delivery. Please Note: These are estimates, not guarantees. When it comes to delivery times, we are at the mercy of the manufacturer. Normally we are able to pick up your furniture from the mfg. within 2-4 weeks of your order. At that point your furniture will be on the next truck to your area which is about every 1-2 weeks on the East Coast to 3-4 weeks on the West Coast. If we see there's going to be an unusual delay in your shipment, we will notify you. You will be contacted by our in-home delivery service approximately 3-4 days before delivery. They will give you the day and time(within a four hour window) the delivery should be made. Deliveries are made seven days a week from 8am to 10pm. If you can only accept delivery at certain times during the day or week, please tell us when placing the order so it can be scheduled appropriately. After 5:00pm or weekends only is requested by a number of customers. This is certainly possible but may delay the order slightly due to scheduling problems with other orders in your area. Our Suggestion -- Our in-home delivery personnel will be glad to call you approx. 30-60 minutes prior to delivery. If you work near your home, tell them you wish to be contacted 30-60 minutes in advance, that way you will not need to take off an entire day of work. Do I need to move my current furniture out of the way? disassemble any beds. That way, if there is a delay for some reason, you will not be sleeping on the floor. Here again, you may want them to call you 30-60 minutes prior to delivery so you will have plenty of time to clear your room. Our delivery service will unbox the furniture, place it in the room of your choice and assemble any items that need assembly and in most cases, they will dispose of the packaging. They will attach the mirror to the dresser, assemble the bed and level any items that may have shifted during delivery. For homes or apartment complexes where the furniture is going to the 3rd floor or higher without access to elevator, there is an additional charge per story after the 2nd floor paid directly to the delivery team. The fee is $25/story on shipments less than 1000lbs and $50/story on shipments more than 1000lbs. Due to insurance restrictions, our delivery service is unable to hang mirrors directly on walls unless the wall anchor is already installed. 1. Please have the room and a path clear for delivery. 2. Please measure your room and stairways if applicable to make sure the furniture will fit properly. Some of the items we sell, especially from Aico and American Drew are very large and do not go up stairways with turns very well. If you are unsure if an item will fit, please check with your salesperson for exact measurement prior to ordering. If an item is too big or if you simply ordered too much furniture, it can be returned under our satisfaction guarantee. Can I pick the items up instead of having them delivered? Yes, you can pick up the items yourself if you wish. We have two locations from which you can pick up the furniture. Either our showroom/warehouse here in Bishopville, SC or from our delivery service in High Point, NC. Since we do not have to pay to have the items delivered to you, please call us at 1-888-484-6429 so we can calculate a discounted price for you. Once the order leaves our dock on your vehicle, we cannot be responsible for damage. If you do find a mfg. defect once you get home, please call us so we can order you a replacement. Once it comes in, we will notify you so you can return the defective piece to us and pick up the replacement from our warehouse. 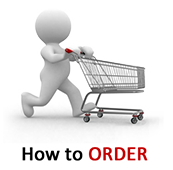 On large orders, we strongly suggest that you allow us to deliver the items. Delivery includes insurance and by the time you add up the cost to rent a truck, you will most likely not be saving very much. Can you warehouse my furniture for me since I don't need it for several months? Yes, we can warehouse your orders for you. Many, if not most, of our customers are either moving into or building a new home and don't need their new items until a certain time. When you find the items you like, please go ahead and place the order to decrease the chances of delay due to a product not being in stock. If we receive the items in before you need them, we can warehouse them for up to 6 months at no cost to you. Please notify the salesperson of your desired delivery date when placing the order. Will my items have a warranty?? All of our manufacturers offer a one year warranty. While the warranty is from the mfg., if you experience any problems, we will take care of the claim for you. If the warrantied item can be repaired easily, we will normally UPS/Fedex the parts to you for installation. If the repair is complicated or the item cannot be fixed, we will have a replacement sent to you at no cost. In order to get replacement items or parts, our mfgs. will normally require a picture of the problem to be emailed. You may cancel your order anytime within 5 business days of placing your order and you will not experience any charge. After 5 business days, if the item has not been picked up from the factory, you may cancel it at no charge. However, if the item has already shipped from the mfg. to our delivery service, you will be responsible for a 20% restocking fee. You may contact us at anytime to check the status of your order. At the time of delivery or anytime within 10 days of delivery, if there are no major problems with the furniture, you simply thought it would fit or look better in the room, you can refuse the shipment. At that point you would only be charged the return shipping fee that is figured at $0.65/pound and a 20% restocking fee. What happens if my furniture is delivered damaged? 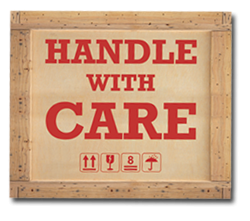 Occasionally, the furniture may experience minor damage during shipping or it may contain a manufacturer's defect. If the item has minor damage, please accept the item and denote on the delivery slip the problem. Please call us as soon as possible so we can go ahead and begin working on the solution as we don't receive formal damage reports until the delivery truck returns home a few days later. We will have a professional furniture repair person come to your house and correct the problem. If the repair is not done to your satisfaction, we will have a new piece sent to you at no additional cost. If an item has extensive damage, please refuse it and contact us. We will have it replaced or repaired(per our manufacturer''s recommendation, in most cases we will need for a picture of the problem to be emailed or mailed to us) and redelivered at no additional cost. In the event an item is returned, you will not be charged for that item until it is redelivered to you. Please take your time and inspect the furniture upon delivery, it is much easier to have any problems corrected if they are denoted on the delivery ticket. For simple fixes, such as replacing a broken handle, we will UPS the parts to you for self installation. If an items needs to be repaired, how long will it take and how good will it look? If an item needs minor repairs(such as any broken glass or minor scratches) and it is left in the home, we can normally have a furniture repair professional come to your home and repair it within 5-10 business days.For items that have to be returned, redelivery takes on average 3-4 weeks for minor repairs. For more in-depth repairs or items that have to be reordered from the mfg., please allow 4-6 weeks for redelivery depending on availability. Please remember that you will not be charged for them until you receive the items and are satisfied. When a repair is completed, you will never know it was repaired!! Both our in-house repair technicians and the nationwide Furniture Medics we use are more than simple repairmen, they are more like artists. They can make scratches and damaged spots completely disappear. When an item has major damage, we will simply order you a replacement but we have seen our technicians in special circumstances make a seemingly destroyed piece look better than it did originally. Many of our products can simply be purchased online by clicking "add to cart". However, some of our mfgs. do not allow all of their products/prices to be published online therefore you would need to call us toll-free at 1-888-484-6429 to get pricing and place an order. Upon placing the order, you will receive an email confirmation. The furniture I purchase will be Brand New, won't it? OF COURSE IT WILL BE BRAND NEW!!!! All the items we sell are completely brand new and first quality. Since we ship most of the furniture directly from the manufacturer, you might even receive an item that was only made 2-3 weeks prior. Many local stores try and sell you their floor samples which may have scratches and dents. We do not do that, we only sell first quality items direct from the manufacturer. How do I pay for my furniture? We ask for 1/3 of the total purchase price to be paid upon ordering. The remaining 2/3 will be charged to your credit card upon delivery to your house (we do get an authorization of the remaining charge once the items arrive at our delivery service simply to guarantee funds). If you choose to pay the remaining 2/3 by check or money order, we ask that you provide us with a credit card to guarantee funds. If you are using a debit card, please inform us at the time of order. Debit cards have to be handled differently since most have a daily spending limit and a simple authorization on our part may cause you problems making other purchases that same day. We will be glad to use a credit card for guarantee purposes only and charge your debit card once the furniture is delivered. We strongly recommend credit cards for two reasons. 1. It makes things much simpler for us. We do not charge sales tax, except on items shipped to South Carolina (6%). Your local or state laws may vary concerning purchases shipped to you from "out of state." We will leave it up to you to report if you deem necessary. Some states do randomly check our delivery slips at interstate checkpoints and send out requests for individuals to pay the sales tax. How can you sell so much lower than other stores? Since we sell so much furniture, we are able to work on a much lower profit margin than your local store can. On average we sell more furniture each month of the lines we carry than most stores sell in an entire year. Buying in bulk allows us to purchase the product at discounted rates which allows us to pass the savings on to you. This also allows us to work out a more efficient system of ordering and shipping. Lastly, we have chosen to work closely with only a few top rate companies which allows us to know their products better and to have items shipped more quickly by combining order. 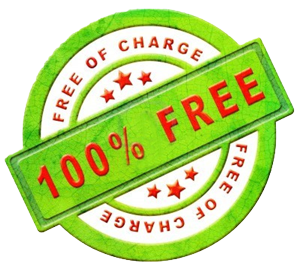 I have searched a great deal and found another discount dealer with slightly lower prices, will you match their price? 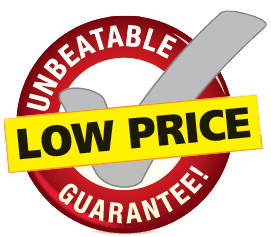 We normally have the lowest prices around and we are constantly checking with our competitors to make sure that stays true. If you are able to find a lower price, we will certainly try to match the entire price including delivery and setup. Be aware, many companies may offer slightly lower prices on the furniture but charge more for delivery. Remember, price certainly matters, but it isn't everything, we feel you will have a better overall experience with us than most other discount dealers.